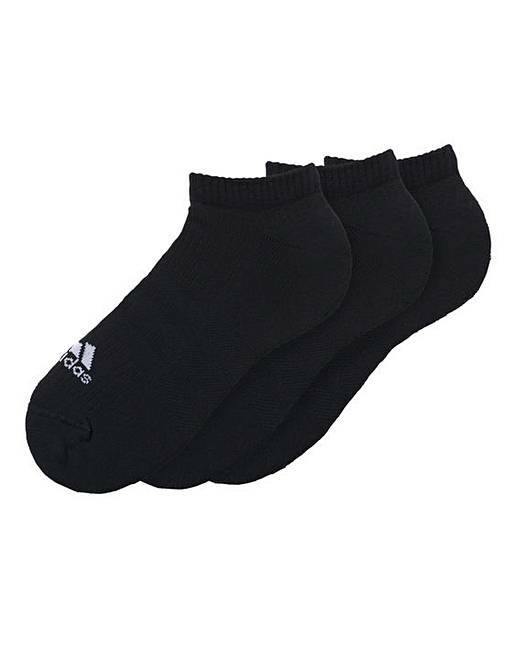 adidas 3 Stripe Socks is rated 5.0 out of 5 by 2. Keep your feet happy while you work hard. 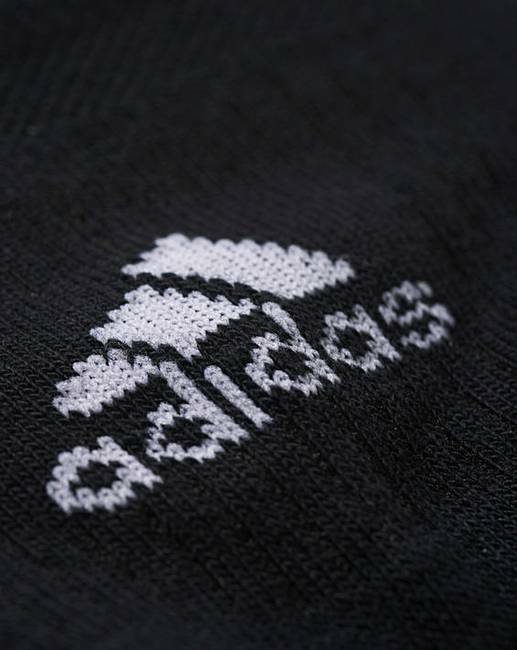 These adidas three stripe training socks have built-in arch support and padding just where you need it. They feature a no-show cut that disappears inside your shoe. 64% Cotton, 33% Polyester, 2% Elastane, 1% Nylon. Rated 5 out of 5 by MG75 from Love these These socks are great. True trainer socks that stay in place and feel great. Rated 5 out of 5 by Gladrags from Trainer socks I thought they were a bit expensive. The quality is good. Actually they are worth the money. Wear is perfect. Washes well and keeps their shape.